Home > bum wine > md 20/20 > The great MD 20/20 search! The great MD 20/20 search! Hello bum wine fans! We made it through another weekend, but sadly it is already Sunday night. There have been a lot of people asking me to keep up with this blog and to post more updates. Let me tell you fans that I am trying my best to keep up and post more updates for all of you. I can't do it all myself, so I need all of you to help spread the good word and promote bum wine to the masses! Tell your friends, have them tell their friends, who can tell their friends, and we will spread the word. After almost a month of this blog, bumwinebob.com is already reaching people in various countries all over the world. Now from day one I have said that I am here to keep it real for all of you. All of the stories that I post here are true and the pictures you see come from real events.While bumwine.com is a great resource for bum wine related media, I try to bring you an alternate view on the bum wine world. Everyday I search the twitter world looking for the best bum wine related tweets. I will be sharing these tweets with you in the future to help promote the word to the masses. Today I want to talk about the lack of bum wine variety. After having a few conversations on twitter earlier today about different variations of MD 20/20, it got me thinking. Usually every place I search in my area for bum wines usually have all the same flavors. Sometimes I will get some intel about liquor stores that have some bum wine, so I will go and check them out. Most of the time you will see MD 20/20 Orange Jubilee, Red Grape Wine, Blue Raspberry, Peaches and Cream, Strawberry Kiwi, and Banana Red. 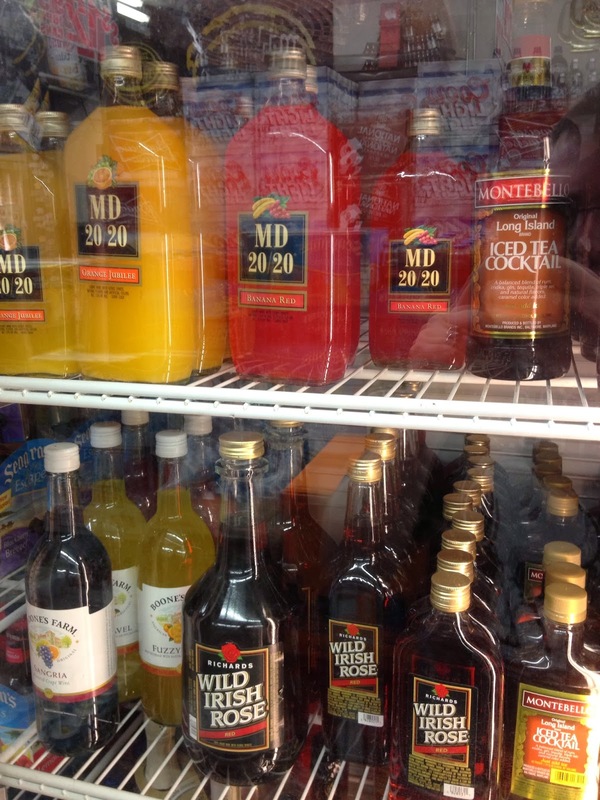 Now there are so many more flavors of MD 20/20 out there that I am trying to get my hands on. One of the newest flavors of MD 20/20 is Coco Loco. I have heard good things about this one and need to find it. This is where you people come in. I want you all to be the eyes of this blog. If you happen to be out at your local liquor store, take a look down the bum wine aisle and see what they got. It doesn't matter where in the world you are or what country you live in, you could help out someone that is trying to find some bum wine! Snap a picture and show us! Lets see what we got out in the world and what we can get cooking. If you come across something new, leave a comment on here or send me a tweet with a picture. Until next time, keep your eyes open and keep spreading the word!